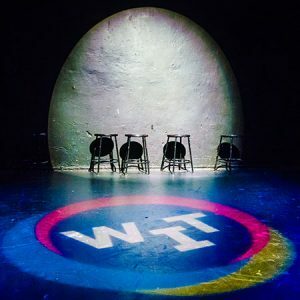 Washington Improv Theater seeks a part-time Marketing Associate to assist in the creation and implementation of market efforts in all areas of WIT’s programming, with a particular focus on performances. This position will report to the External Relations Director and will also support efforts by the Education Director, WIT@Work Director, and Artistic/Executive Director. This is a new position that will likely evolve over time, with the possibility to grow into a full-time position. This position is part-time (20 hours/week), non-exempt with some scheduling and telecommuting flexibility after an initial training period. Occasional night/weekend work (scheduled in advance) may be required. As a part-time position, this role is not currently benefits-eligible. Pay range is approximately $20/hr. Washington Improv Theater is an equal opportunity employer and encourages women and people of color to apply. The Marketing Associate will assist the External Relations Director in creating holistic campaigns to promote all areas of WIT’s programming including the classes program, WIT@Work, community outreach work, and performances. This individual will help conceive online and offline marketing campaign ideas and be the primary person in charge of implementing the campaigns. Washington Improv Theater’s close-knit staff is nimble and effective, serving a fantastic community of artists, audience members, students, and teachers. Ideas go from concept to execution quickly with little administrative “red tape,” allowing a rewarding environment that is open for experimentation and innovation. True to the nature of improv, WIT’s staff embraces a “yes and” mentality and offers a supportive, trusting work environment. Indicate your interest by filling out this brief Google form. Then, please submit a resume, cover letter, and a writing sample as a single PDF. The email should be directed to Dan Miller, External Relations Director, at work@witdc.org with the subject line: Marketing Associate Position. Writing samples should demonstrate an engaging voice. Acceptable samples may include press releases, brochures, email blasts, social media content, blog posts, etc. Academic papers are not appropriate.